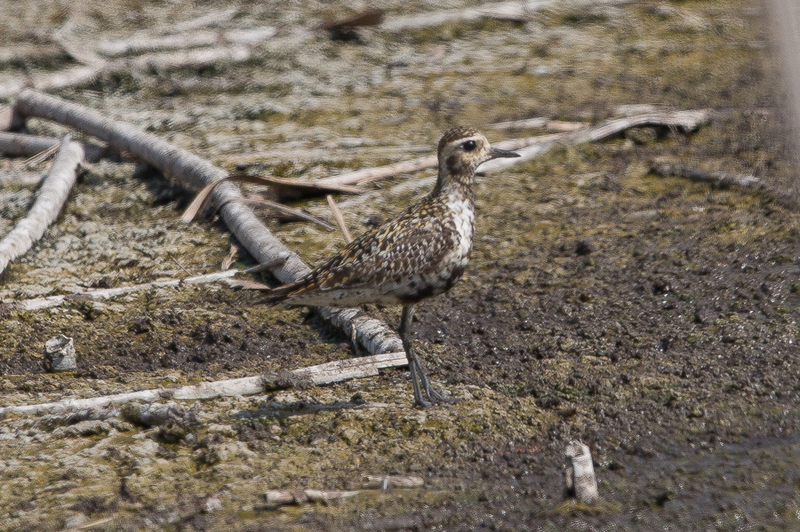 Whilst birding Sabkhat Al Fasl on 21 August I found a moulting adult Pacific Golden Plover Pluvialis fulva. It was on the edge of a wet area and appeared quite timid. This is my first record of this species for the site, although Phil has seen one previously in full summer plumage. The species is an uncommon migrant and winter visitor to the Eastern Province that is seen in very small numbers. 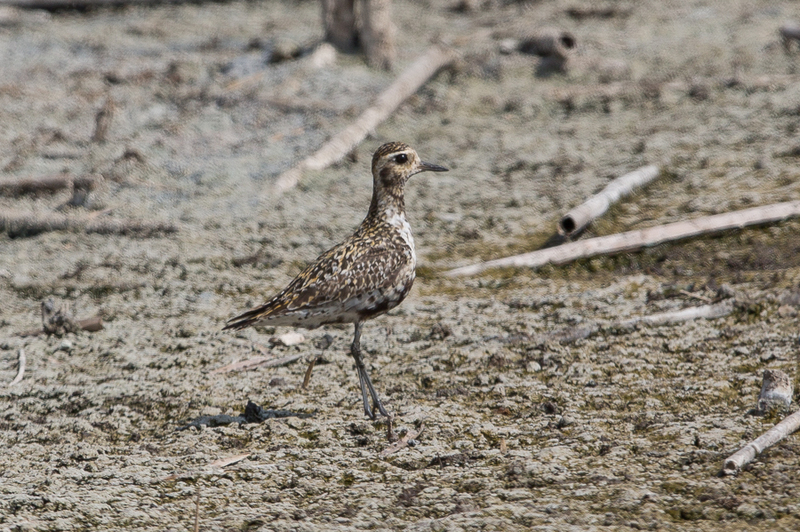 The species was regularly observed at the former Dammam Marsh lagoons with at least four wintering there in 1980-81. Up until the mid-1980’s adults in summer plumage were seen in May & June with a maximum count of up to 30 birds in April, September and October. Most of the records away from Dammam were in the coastal zone from March to April and from September to October with inland records at Abqaiq in September. The species appears to have become scarcer with the only recent records being one seen at Zur Bay on 18 November 1991, one individual seen outside Dammam 6th April 1999, one at Sabkhat Al Fasl 31 October 2008, one at Ash Shargiyah Development Company farm 12th October 2012, one Dhahran Hills 2 November 2013 and one Dhahran Hills 23 August 2014. Records have also occurred on the Red Sea coast as well as inland at Malaki Dam Lake near Jizan and regular sightings have occurred recently in the Riyadh area.